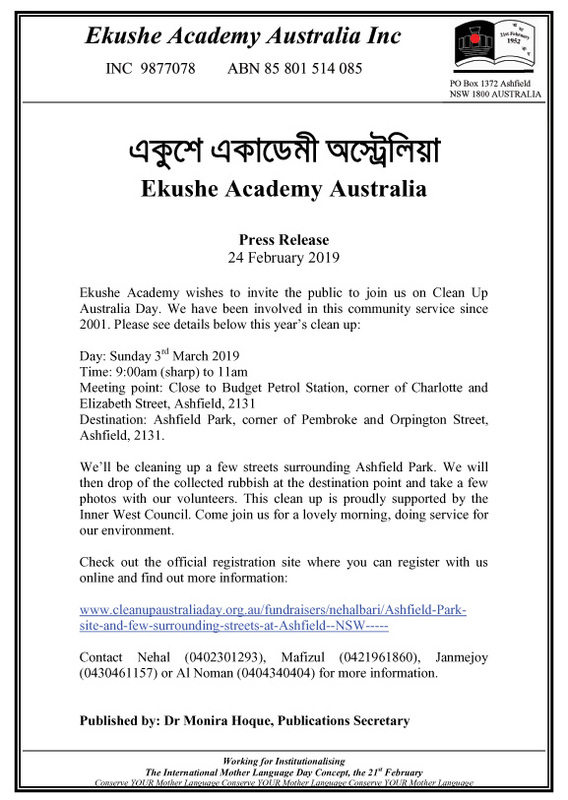 Ekushe Academy Australia (EAA) is a secular, non-political and non-profitable organization. This organization is managed by a thirteen-member Executive Committee (EC), elected by its financial Members. Tenure of the EC is two years and members of the EC work on honorary basis. The Academy also has its own constitution. 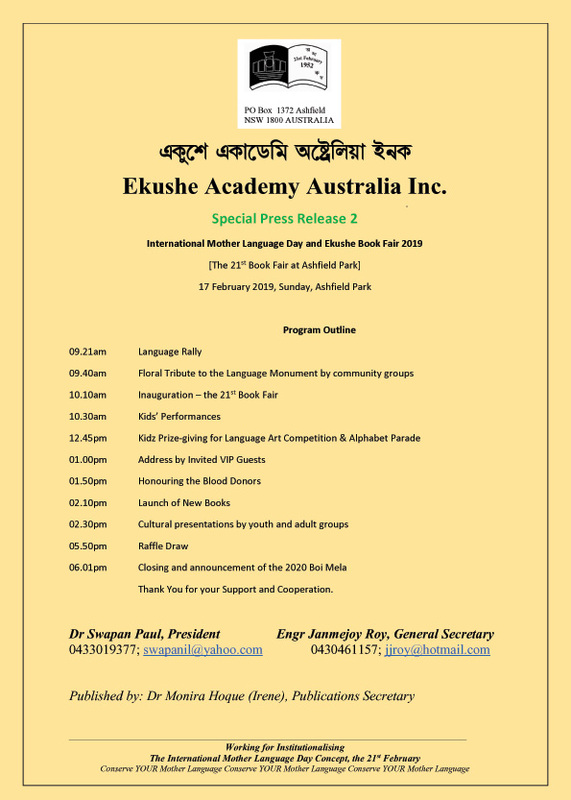 Mission: To mainly institute and promote the Bangla language, its literature and cultural practices among Bangalees and to create awareness of mother language in the Australian multicultural society. 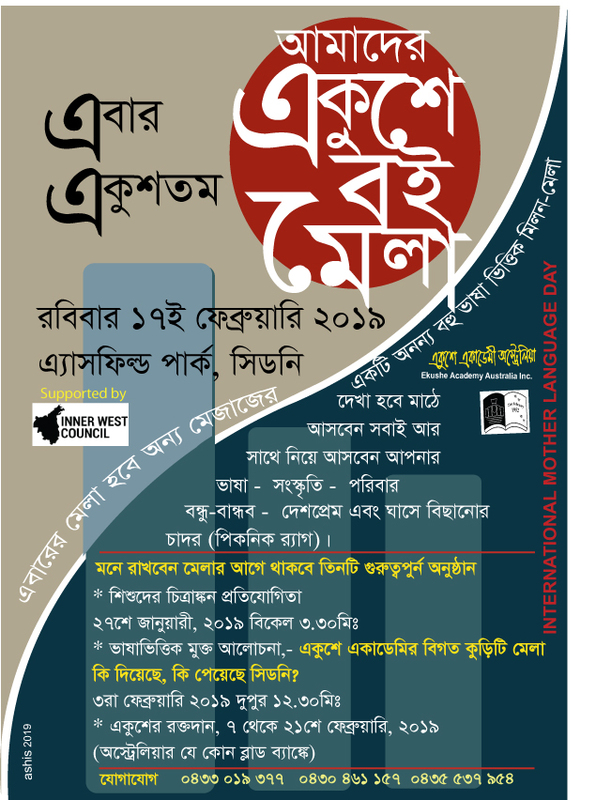 • To organize a day-long Book Fair and cultural program every year, dedicated to immortal the 21st (Ekushey) February and the International Mother Language Day (IMLD). 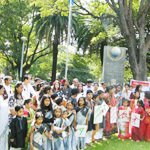 • To uphold the aspirations of IMLD in the Australian Multicultural Society and among the Bangla speaking people of the world as a whole. • To inspire the younger generation about multilingual and cultural diversity and to help them nurturing their own ethnic language (Mother Tongue) and to share the multicultural spirit. 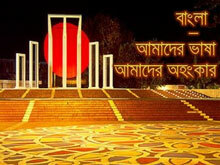 • To organize regular seminars, symposiums and cultural activities and festivals to promote Bangladesh. å«µshe Academy Australia. All Rights Reserved. | Website Design by Access InfoTech Ltd.